As its equipment nears the end of its useful life, Denver's bike-share operator wants to get with the times. 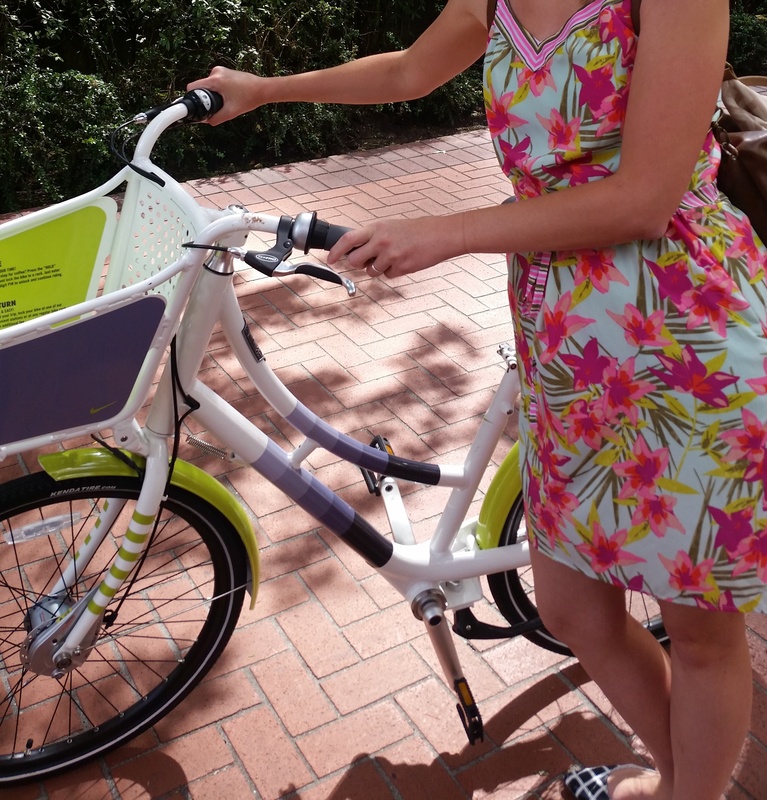 Denver B-cycle wants to give bike-share users the option to dock it or lock it. The city’s current bike-share system is exclusively station-based. You can’t end a trip anywhere besides a fixed B-cycle dock. The new system would allow riders more flexibility because they would not be tethered to ending trips at stations. 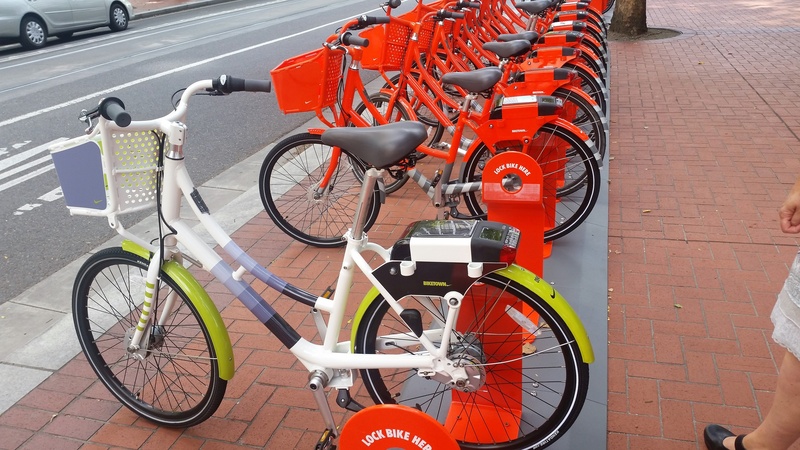 B-cycle aims to deploy a fleet of “a few thousand bikes” with GPS and locks controlled by an app and membership cards, and “hundreds of hubs,” B-cycle Executive Director Nick Bohnenkamp wrote in the nonprofit’s annual report [PDF]. They could be outfitted with electric pedal-assist to help people go longer distances. Under the “hub-based” system, riders can lock up at designated bike-share racks or stations for free, while a small fee would apply if they lock up at a non-designated location. The hubs won’t look like the stations we have today, but would instead resemble the bike corrals in Portland, the first major American city to employ such a hybrid system. Bohnenkamp sees it as an ideal middle ground between the station-based model and the new generation of dockless bike-share systems. Meanwhile, Denver Public Works has not yet permitted a hub-based system to operate. Nor has the city decided what direction to take with the dockless bike-share start-ups that want to set up shop in Denver. DPW has allowed a dockless pilot, operated by the Chinese bike-share giant ofo, open only to University of Denver students and faculty. It will launch this month and inform how DPW regulates bike-share going forward, said Cindy Patton, DPW parking and mobility manager. B-Cycle’s ridership fell for the fourth straight year in 2017. It has never achieved the coverage or station density of more successful systems like New York’s Citi Bike or Paris’s Velib, which get about five trips per bike per day, compared to B-cycle’s 1.3 daily trips per bike last year. The city will fund B-cycle operations to the tune of $400,000 this year. That covers about a fifth of its budget. Bohnenkamp would not say how much a B-cycle expansion would cost, but said funding will dictate how big the system gets. City officials essentially have two options: invest in the hub-based B-cycle expansion, or let dockless bike-share companies set up all over town, which could drive B-cycle further into the red. The dockless companies are getting a lot of attention now, but big uncertainties remain over whether their systems will attain profitability and outlast the initial burst of venture capital. 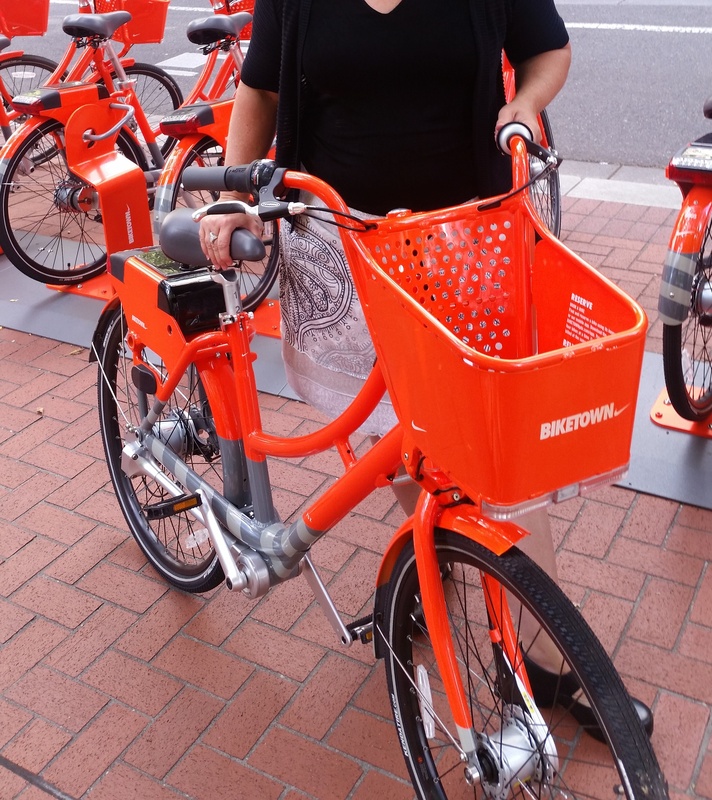 I visited Portland shortly after Biketown launched, and was very impressed with the “hub” model. I liked that the “hubs” were very visible and offered some security in where to expect bikes to be, but appreciated that they were trying to make it even easier for people to use by allowing bikes to be parked at non-hub public locations (for an extra price). I also liked the bikes themselves, they had shaft-drives instead of chains (you could change gears while stopped), they were comfortable with cruiser-style upright seat. So far I think this model is the most superior – although I have yet to actually test “dockless” free-floating bikeshare and how usable it is. Thanks for the input; it’s always good to see how other places may be doing something better.